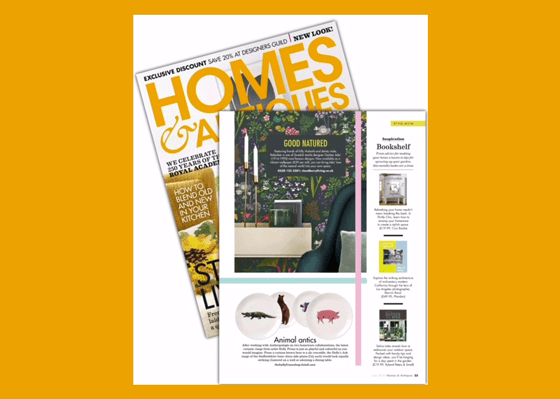 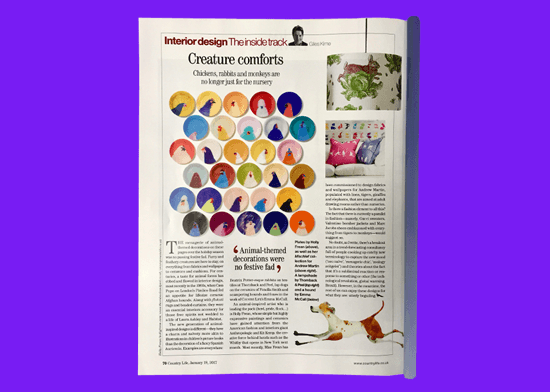 Holly's work is featured in Homes & Antiques June 2018 issue, including a selection of the 'Holly's Ark' plate collection within the Style Now feature. 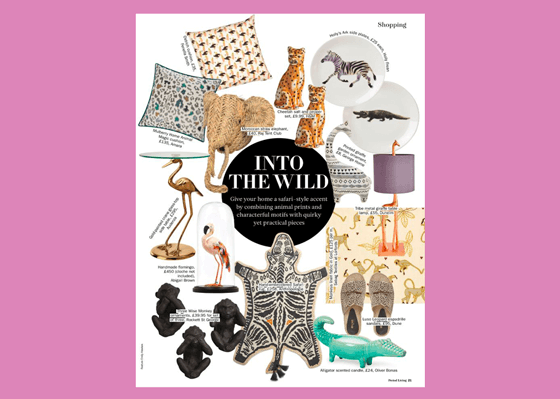 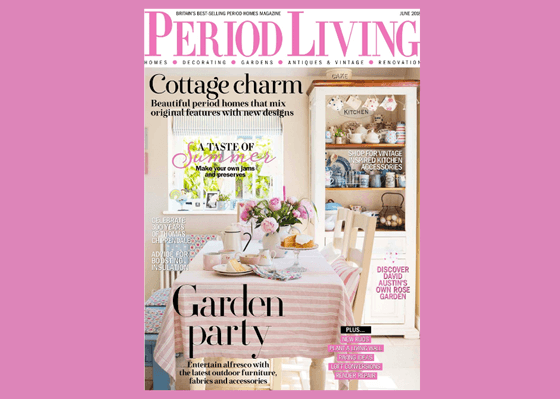 A selection of plates from 'Holly's Ark' collection are featured in the 'Into The Wild' Shopping section of Period Living magazine. 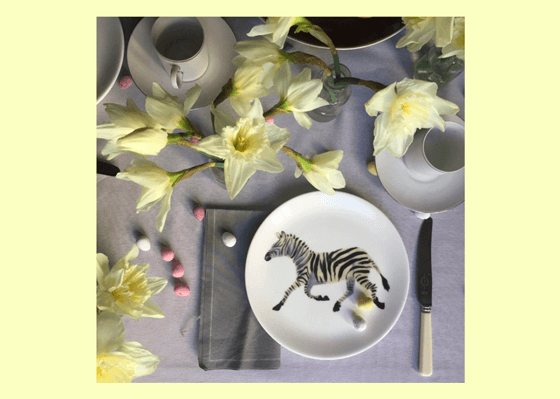 The Resident magazine, a luxury lifestyle bible for the London resident, featured the 'Holly's Ark' zebra plate as part of their Style Insider feature on the SS18 monotone colour trend. 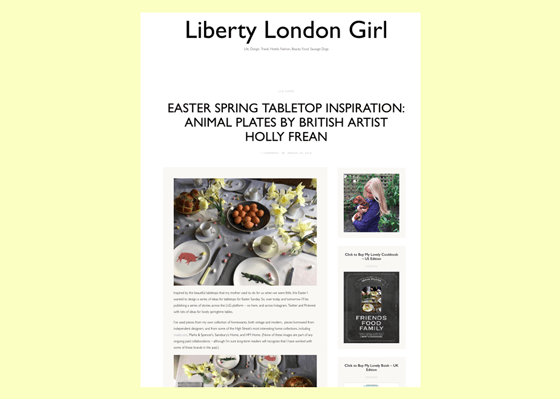 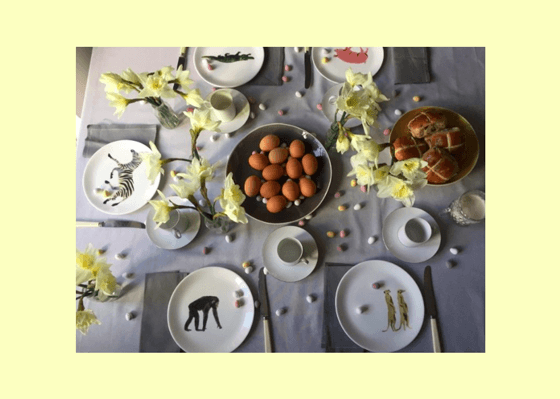 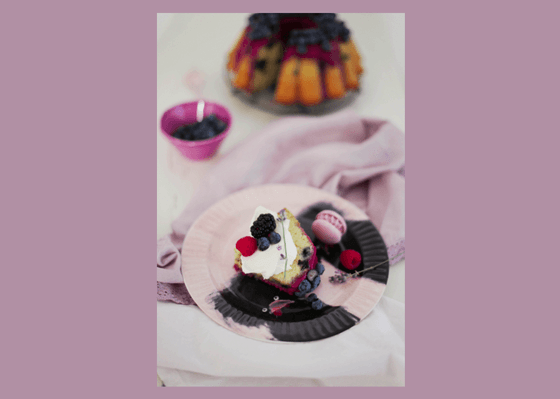 Renowned journalist and blogger Sasha Wilkins, aka Liberty London Girl features a selection of 'Holly's Ark' plates as part of her beautiful tablescape shoot, 'Easter Spring Tabletop Inspiration'. 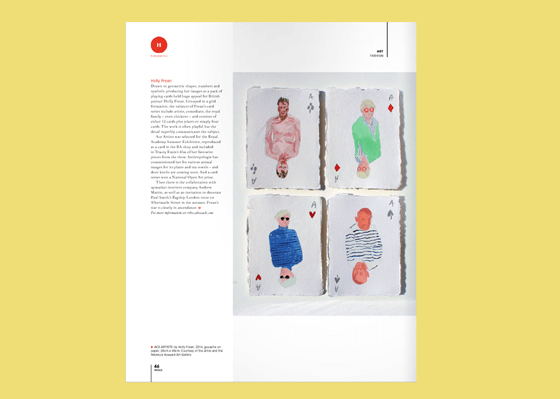 Take a look at the shoot in full. 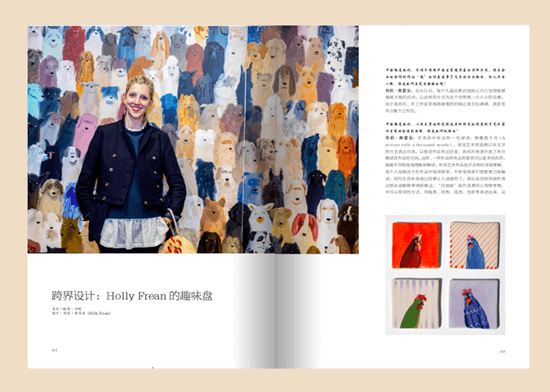 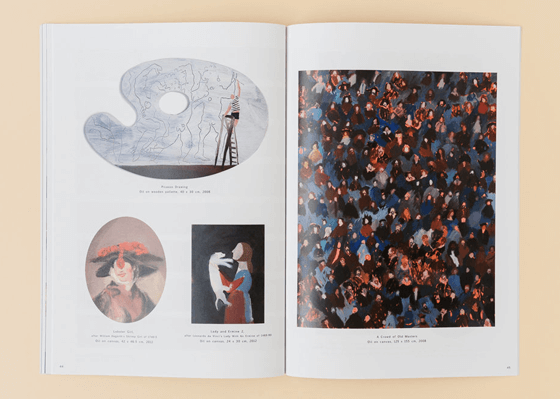 China Ceramics Illustrated published a recent interview with Holly in a six-page illustrated feature. 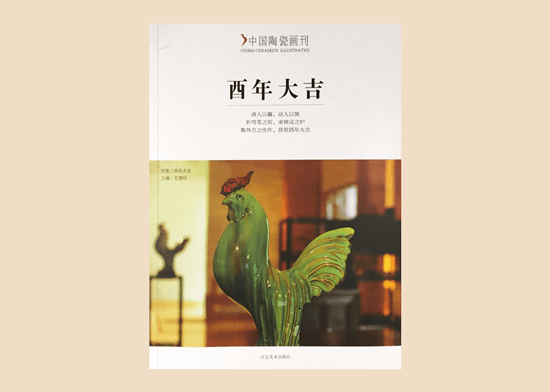 The theme of the issue was the rooster. 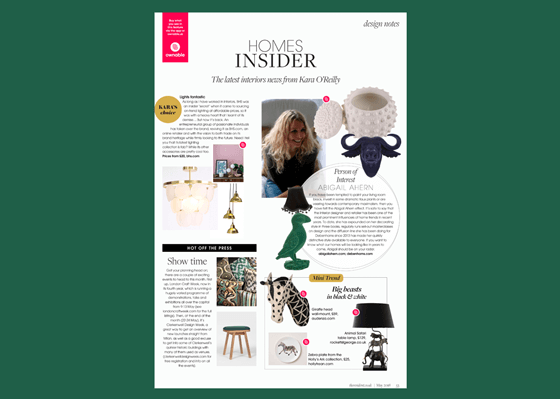 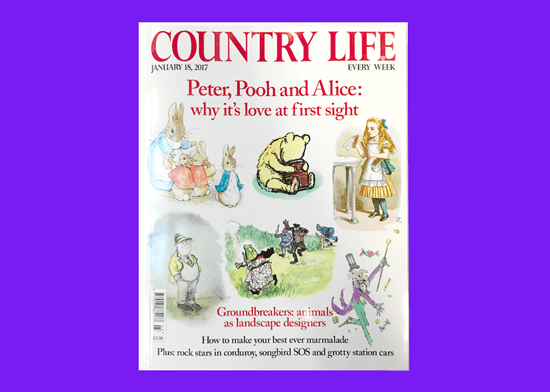 Holly was featured in the recent issue of Country Life, with an Inside Track feature on her written by Interior Design writer Giles Kime. 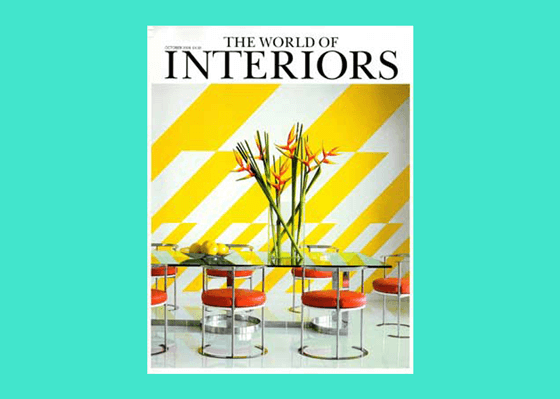 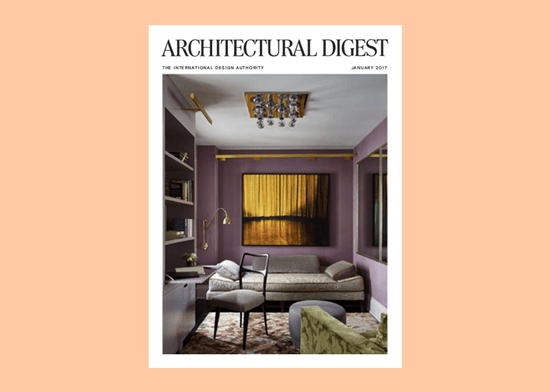 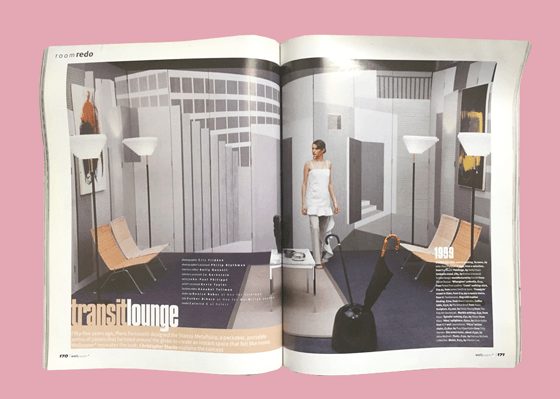 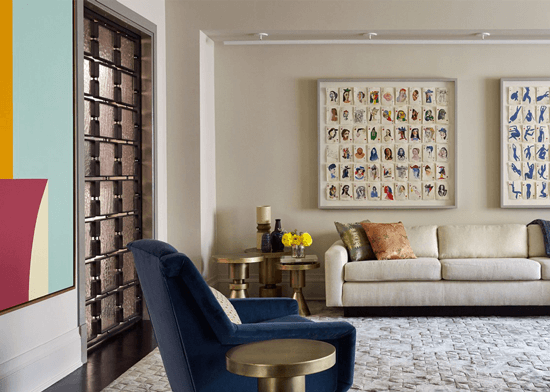 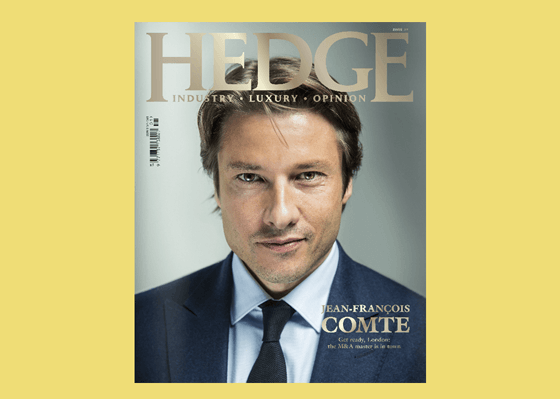 Read Holly’s latest interview here which features in the most recent issue of Architectural Digest Magazine. 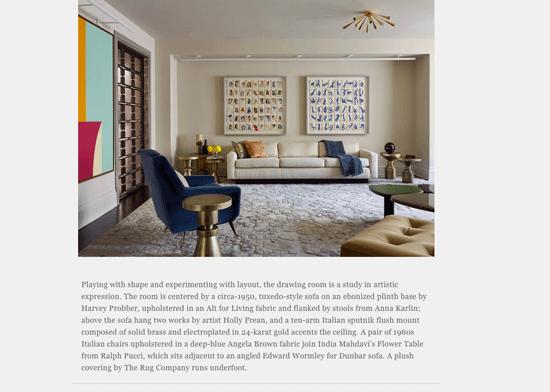 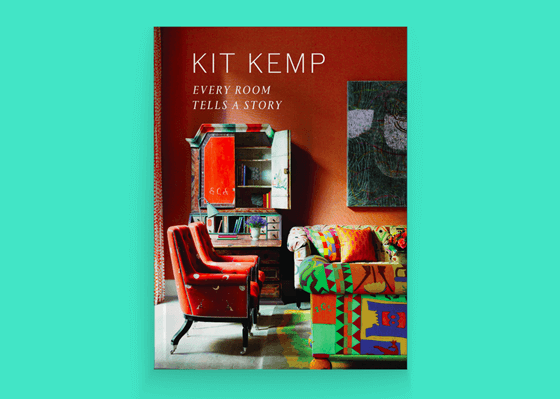 The write-up was by design writer Cara Gibbs and photography by Joshua McHugh. 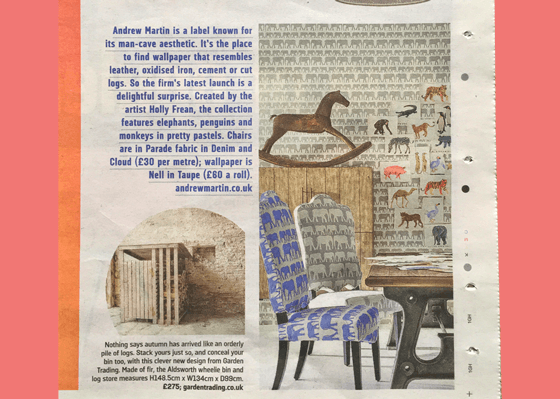 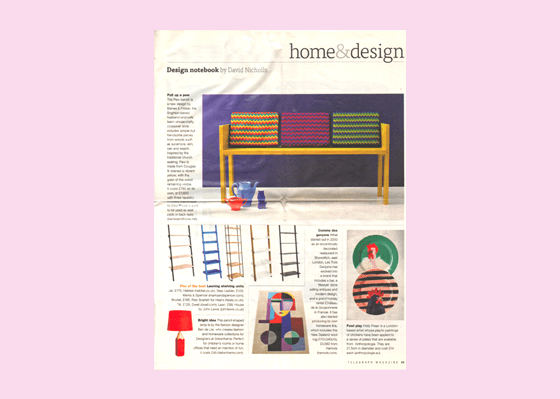 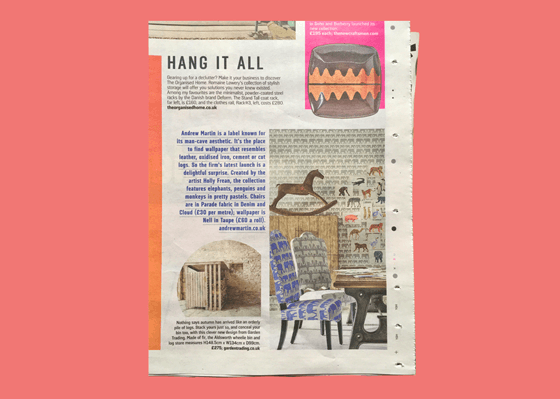 Holly’s recent fabrics collaboration with Andrew Martin was featured in The Sunday Times Home Edit section. 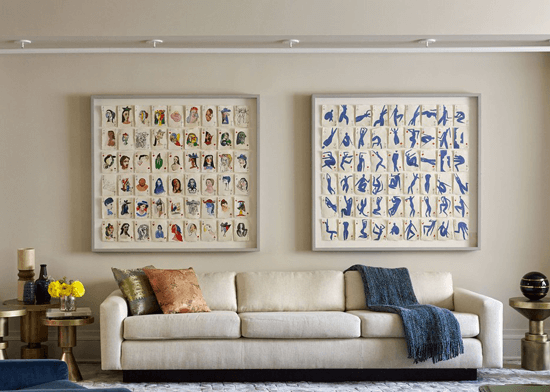 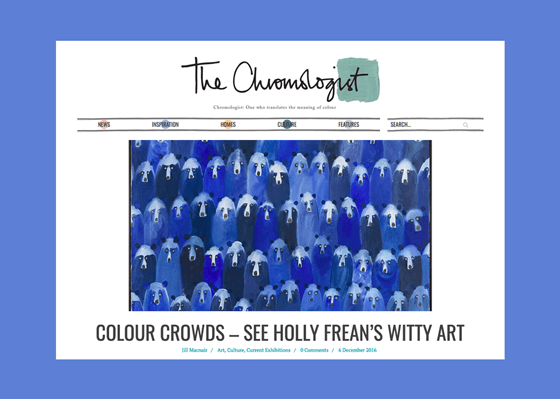 A review of Holly's work by US blogger, The Chromologist. 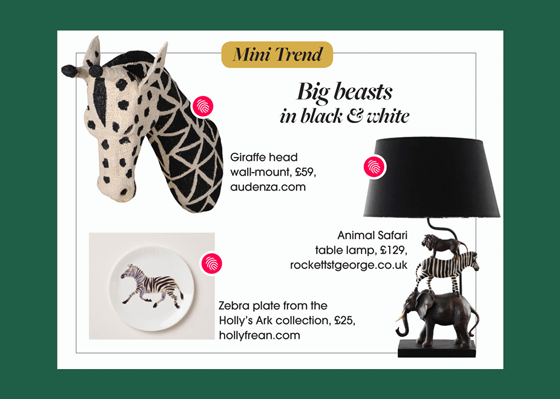 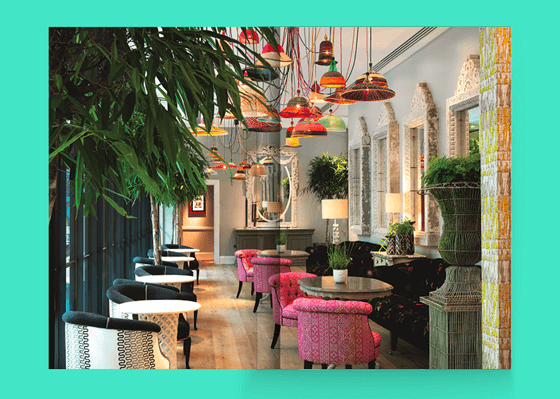 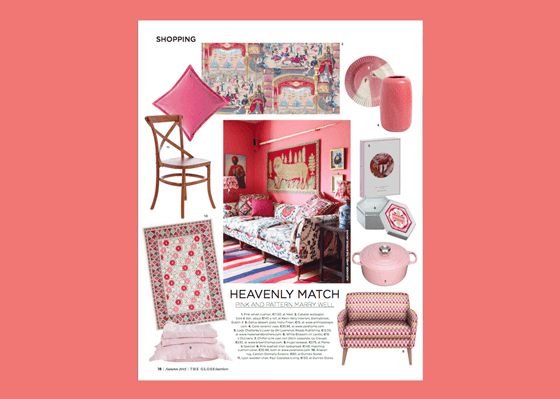 Holly's 'Anthropologie' plates feature in The Gloss Magazine's Autumn 2015 Interiors roundup. 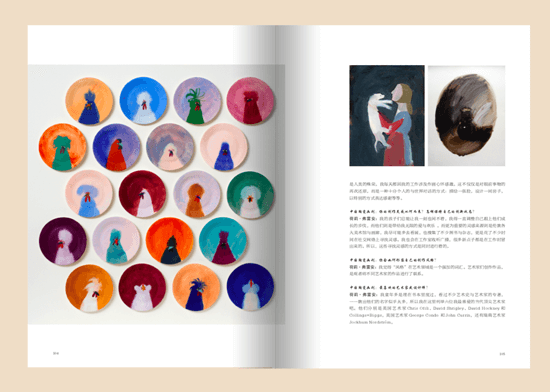 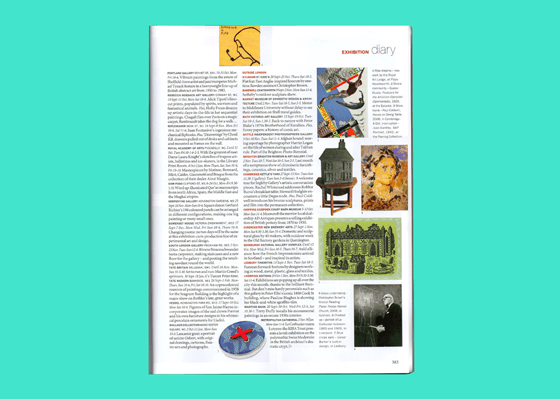 A feature on Chinese language lifestyle and culture roundup, The Polysh. 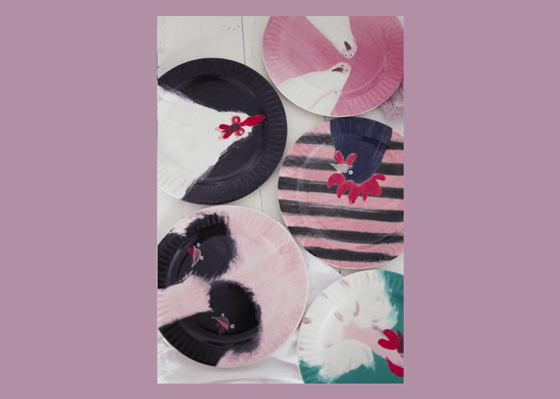 Holly's work, with a focus on her Anthropologie chickens. 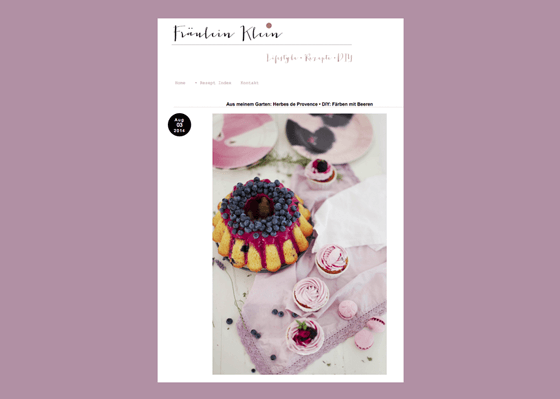 A lifestyle photoshoot and DIY blog post from German blogger Fraulein Klein, featuring Holly's Anthropologie chicken plates. 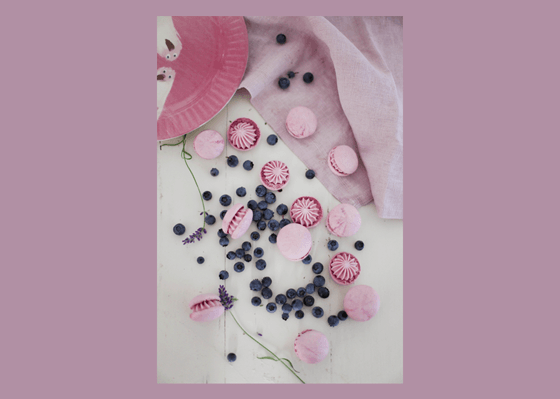 Recipes and photos of fabric dyed using the pigment from fruits are documented in amongst Holly's ceramics. 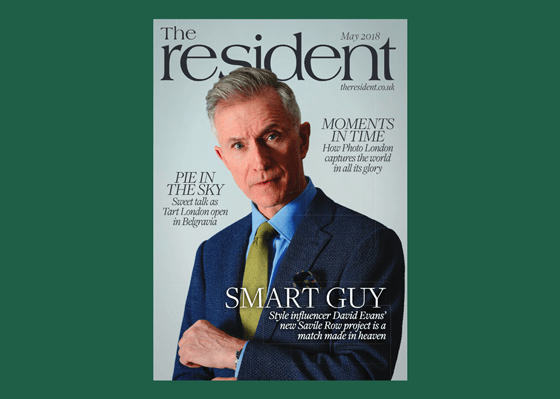 Full photoshoot here.